Notebooks are my thing, so when it comes to finding some of the best out there, I am on it and I am checking each and every one of them out thoroughly. I love paper, and I cannot stress enough that a great notebook will make you feel your best when writing. 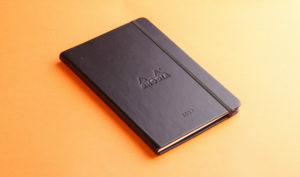 When it came to finding an alternative to Moleskine, since I usually use them, it was a bit difficult, but there are some clear competitors in the market that anyone is able to use to their advantage when you want something high quality. I wanted to go with something that was beautiful, smooth, flawless and definitely something that looked good and provided the support and paper weight that I needed. With these five different notebooks, I was able to feel the high quality difference. If you’re looking for something to replace those old Moleskine notebooks, then make sure to check out these notebooks that really hit the spot for anyone that loves paper, or loves to do a bit of writing on the side.